Win an iPod Nano and cloud computing credit! How would you define cloud computing to a child or non-technical relative? The response which we judge to be the best/funniest/cleverest answer will win. To enter: Simply leave your comment below, making sure you include your name and contact email address (the email address can be hidden from public view etc). Feel free to enter as many times as you like. By leaving a comment, you agree to the terms and conditions of this competition. Please note that no personal information will be provided to Ninefold as a result of entering this competition — except if you are the winner, and this will be solely for the purpose of prize delivery. Note: Entries close April 30. Is an “iPad Nano” an iPhone? I have no secret information about future Apple products. Probably. Instead of your computer doing something, someone elses does, and you don’t know or care whose. You just get a bill. We best leave Renai alone, it’s only 11:17am afterall! Ah-ha…the truth is out there! Son, Cloud Computing is like getting water directly from the clouds whenever you want without having to wait for it to rain. Cloud computing is a service – like what your telephone company provides. You don’t have to worry about looking after the physical computer, like you don’t have to worry about looking after the telephone wires in the street – you just use and pay for the service. Ahh yes.. Cloud computing is….when…ermm…computers….internet.. Oh I don’t know, go Google it son. Cloud computing is the way people used computers since the 1960’s, only with snazzier labels. Cloud computing is like renting a car. You get the biggest size you need/afford, but can easily upgrade to a bigger one and then downgrade again without worrying about any residual payments. Cloud computing is like Mary Poppins has all your songs in her umbrella and if you enter the right Login/Password combo she’ll give it back. In the past all of your work and information was stored on the computer in front of you, cloud computing is when that information is stored on the internet, so you can access it anywhere in the world. On sunny days we have no work. When it rains we’ve done a good job. Storms…even better. Cloud computing explained for children and non-technical relative…. Imagine the internet is a big cloud. 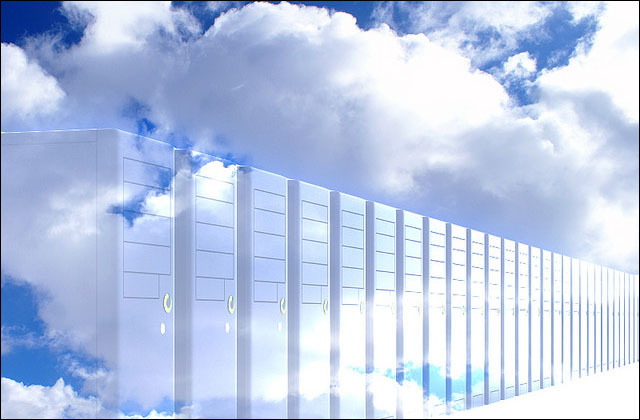 Cloud computing means that all of your data is stored in that big internet cloud rather than down on earth. So when you access any files, you’re doing it through the cloud. I work with computers. No I won’t fix your PC. It is like the bank. They keep most of your money with them and you have a little in your wallet! Cloud computing is like modern weather. We have a hole in a virtual ozone layer that opens and closes based on energy usage. When we use too much energy, the hole gets bigger, the computers get hotter and the clouds get big and stormy. If we are not careful, the computers might overheat and shut down. But when we share the cloud nicely with everyone, the hole gets smaller, everyone gets to run their computers when they need them, and the clouds get soft and fluffy. When you mother says clean up your toys, you hide them in the clouds but can get them back anytime you like – that’s cloud computing! Cloud computing are like when we go to Gran’s for dinner. You get everything you like for dinner but Mummy and Daddy don’t have to do the dishes. Cloud computing is like having a mistress that does all your washing, cleaning and cooking – leaving your wife refreshed and in the mood for …. fun. Cloud computing means you can find out what your friends are doing all over the world and talk, tell, or picture them.